Read about Stark at Wikipedia. 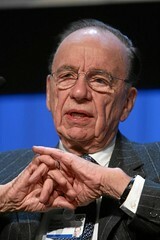 Prince Alwaleed bin Talal al-Saud of Saudi Arabia, through his Kingdom Holding Company, owns 7% of News Corp.’s shares, making Kingdom Holdings the second largest shareholder. © 2011 rowanthorpe.wordpress.com. This RSS Feed is licensed under a Creative Commons Attribution-Noncommercial-Share Alike 3.0 Greece License. If you believe the version of this material which you are reading infringes this license, please send details to rowanthorpe(at)gmail[dot]com so legal action can be taken immediately.